In 2015, Rebekka coedited two IEEE Transactions on Professional Communication special issues on content management and its impact on professional and technical communication. One of the special issues included a teaching case, coauthored by Carlos, which described how the Professional and Technical Writing program at Virginia Tech worked with practitioners to keep its curriculum connected to industry trends. That initial connection started a years-long conversation about preparing students for roles as leaders and innovators in technical communication. We have often discussed the routine nature of some technical writing jobs and wondered whether college graduates who perform well in entry-level positions struggle with career advancement. Leadership and innovation in the field are taking place at a new level. To lead and innovate in technical communication, professionals now need these skills in addition to the more traditional skills in rhetorical analysis, writing, and design expected of technical communicators. 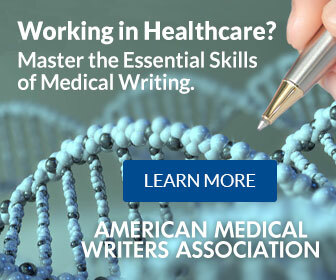 The technical writing level is an important starting point, but professionals in the twenty-first century rarely can build a career on it alone. We believe that students who graduate with skills and competencies at this level will be better prepared to lead and innovate in our discipline. What can industry leaders, university administrators, and educators contribute to the development of curricula that prepare students to be leaders and innovators in the rapidly changing profession of technical communication? We ventured out to study the skills and competencies that students need after graduating from college. We started the project by organizing workshops with industry leaders and university administrators and educators. At the Best Practices conference of the Center for Information-Development Management in September 2017 (15 participants—the majority of them from industry at a managerial level). We aimed for representation from industry and academia in both workshops. During the SIGDOC workshop, with a mostly academic audience, we invited experts from industry to describe their experiences with graduates from technical communication programs. At the Best Practices workshop, we performed as academic ambassadors for our audience of colleagues in industry; as ambassadors, we described the current education landscape and identified ways those working in industry might partner with academic programs to help bridge the skills’ gaps. In both workshops, we asked participants to share their perspectives on what the changing activities, needed skills, and hiring needs in the profession mean for technical communication education. We divided workshop participants into small groups and asked them to discuss a series of questions related to our larger research question; each group audio-recorded their discussion and took notes in a Google Docs file. A move toward more interdisciplinarity, with programs that mirror workplace activities. A rethinking of what we call our programs and degrees, because terms in the format of content-X (strategy, design, engineering, management) frequently appear as the profession’s main title. A common interest in “bi-directional” curriculum and program design, because some academic programs want to collaborate with practitioners and managers, and the interest is reciprocal in some industry groups. An agreement that good technical writing skills remain a core competency, even if they can be labeled as mundane and even boring. Diversity is a workplace reality, and academic programs should not ignore this fact. Collaboration (with or without an introduction to Agile methods) should be a constant in courses and projects. Structured authoring should be included as a building block to explore content-X approaches. Critical thinking and data-based argumentation should be taught across disciplines. Having the right personality is key to succeeding in the profession, and our participants defined that as being inquisitive, adaptable, and teachable, among other traits. Based on these preliminary findings, we developed interview guides for 25-30 one-on-one conversations with experts from academia and industry. We are also planning to conduct surveys of practitioners and educators. Through the surveys, we will obtain additional information for our bidirectional curriculum and training program recommendations. 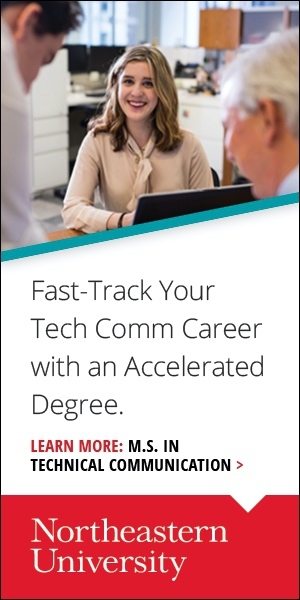 We hope that those recommendations inspire changes for how academic and industry environments prepare college graduates for the changing profession of technical communication. Kaitlyn Heath and Caroline Stewart provided invaluable assistance with data analysis and overall creative input as part of an undergraduate research project at Virginia Tech. CARLOS EVIA (cevia@vt.edu) is an Associate Professor in the Department of Communication at Virginia Tech, where he also conducts research for the Centers for Human-Computer Interaction and Innovation in Construction Safety, Health, and Wellbeing. He is also a voting member of the DITA Technical Committee and co-chair (with Michael Priestley) of the Lightweight DITA subcommittee. Carlos is a former director of the Professional and Technical Writing undergraduate program at Virginia Tech. REBEKKA ANDERSEN (randersen@ucdavis.edu) is an Associate Professor in the University Writing Program at the University of California, Davis, where she teaches courses in professional and technical communication and digital literacy. She serves on the CIDM Advisory Council, on the editorial board of IEEE Transactions on Professional Communication, and on the review board of several journals in the field of technical communication. Her research focuses on the diffusion of content management methodologies and technologies in information development teams and on building stronger connections between academia and industry. Why Get a PhD in Technical Communication?